UMP | University of Minnesota Press Blog: "We're just Potato Famine Irish." “We’re just Potato Famine Irish,” declared my grandfather when, as a child, I asked him about our family’s roots in Ireland. A Minnesota Supreme Court Justice, his word sank heavily into my heart and lodged there for decades. They didn’t resurface until decades later, when I began working at the Minneapolis American Indian Center. Surrounded by Native colleagues with visible roots that grounded them in this land, I learned that "Minnesota" is a Dakota word, that the cradleboard my friend was making for her grandson was just like the one her ancestors would have made. These lessons rekindled my curiosity about my family’s past. But I also began to feel a disturbing dis-ease—an intuitive sense that something was not right. It’s taken nearly twenty years to begin to understand this dis-ease. While reconnection and healing have begun, the work is ongoing. 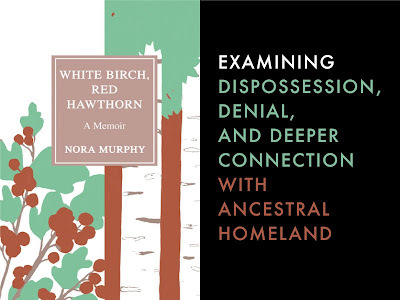 This journey is the subject of my new memoir, White Birch, Red Hawthorn. The longer I worked in the Native community, the more I began to see two sources of the dis-ease in my heart. One source was the loss of connection to ancestral homelands. Though I’m not 100% Irish, three of my grandparents were Irish and it is the culture with which my family identifies the most. Why didn’t my Grandfather Murphy know about his family’s Irish heritage? Why didn’t we know the names and birthplaces of our ancestors? Was it shameful to be “just Potato Famine Irish”? The erasure of our backstory left me feeling exiled, outside of the circle of belonging. My heart wanted in, not only for myself, but for my children. Denial was a second source of my dis-ease—the denial of the harm that European American families like mine participated in and caused to our Native American hosts when they settled here. Since then the generational layers of denial, an inheritance passed along by pull-yourself-up-by-the-bootstraps upward mobility, hardens the heart. This hard heart numbs itself to the reality of past and present suffering in Native communities all across America. By not responding to this pain, I realized that I was negating the basic human instinct of compassion. The more I saw, the less comfortable I was with maintaining old shields of denial and the more human I wanted to become. White Birch, Red Hawthorn names some of the pain that European immigrants like my family caused to the three main tribes in Minnesota—the Dakota, the Ojibwe, and the Ho-Chunk. It explores the worldview of dominion inherited in stories by American icons like Laura Ingalls Wilder, Paul Bunyan, Henry David Thoreau, and Aldo Leopold. It suggests pathways for reconnection to Ireland. Each step required lifting layers of lies and touching raw wounds trapped for generations. Only then could I begin to glimpse the possibility of healing. This possibility demanded that once I had a clearer view of the truth, I needed to look beyond facts and find a new way of living. This new way asks us to set down dominion and step back into the circle of humanity. Above all, this journey toward healing is not over. Standing Rock is just one recent example of how our country continues to harm Native tribes and lands. Even so, I feel hopeful. Each one of us can play a part in lifting the dis-ease of denial and exile. We can examine the stories we’ve inherited, set down the conqueror’s tools, and begin to listen. It’s not easy, but every step counts. 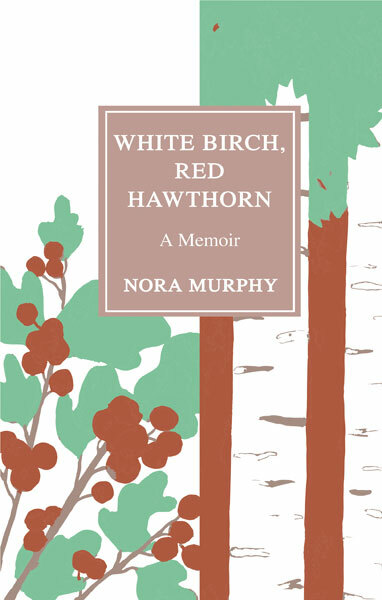 Nora Murphy is author of White Birch, Red Hawthorn. She is a fifth-generation Irish Minnesotan. She was born and lives in Imniża Ska, the white cliffs overlooking the confluence of the Mississippi and Minnesota Rivers in St. Paul. She has worked and volunteered in the Native community since 1995 and has published five previous books—children’s histories, short stories, and a memoir about women’s textiles, Knitting the Threads of Time. "Nora Murphy defines her work as cultural outsider: she listens, she doesn’t try to fix anything, and she resists the urge to dominate. She has accomplished the difficult task of writing from what she has learned of people unlike herself, not about them. Harder still, she has learned to love another culture and yet understand it does not belong to her." "White Birch, Red Hawthorn is not only educational, with the stories of the struggles that have been inflicted on American Indians, but also an inspirational story of Nora Murphy’s path to discover her Irish ancestry." "Nora Murphy displays incredible bravery—she asks hard questions and points out the elephant in the room. She creates language to say the things left unsaid."